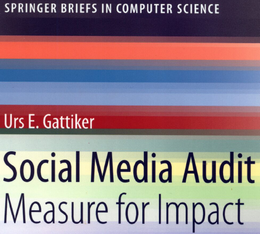 This week’s social media measurement, social media metrics, ambush marketing and marketing buzz tidbits, tools and other happenings we came across while surfing the internet, blogging and posting on Facebook, Identi.ca, Naijapulse or Twitter. Our focus is on Aldi, Amazon, Asda, FC Barcelona, Philips, Sainsbury, Tesco, UniCredit and other heavyweight brands, as well as the 2010 FIFA World Cup South Africa. 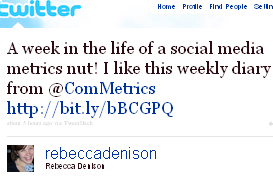 Today I came across this tweet from @RebeccaDenison. Of course, I was pleased to read it and I hope some of you will provide me with feedback on Twitter, Facebook, or even better, in a comment below. Visit ComMetrics University – webinars held and download the podcast and slides – all you need is a free login. Incidentally, last week we reported that Barcelona claimed to be the biggest sports team by revenue, with sales for the 12 months to June 30, 2010 increasing by 16 percent to €445,5 million. Barcelona also stated that its net income was €9 million. Nevertheless, this week saw Barcelona reporting on its webpage that, while it is not bankrupt, it is trying to secure a €150 million emergency loan to pay player and staff wages. The club’s board is imposing austerity measures to make financial ends meet. Moreover, the club’s €1 billion TV rights contract with Mediapro, which rests on “a verbal guarantee of payment” and runs until 2013, might also be threatened. In June, Mediapro announced it was seeking bankruptcy protection over a dispute with a pay-TV company. => Is FC Barcelona going bankrupt? 2010-07-07 Amazon UK announced that it would be taking on Tesco, Sainsbury’s and Asda with the launch of an online grocery store offering “free delivery on thousands of great value household, niche, ethnic and international products.” This is not Amazon’s first foray into selling food: it launched Amazon Fresh as a test project in 2007 in the US, but has limited deliveries to its hometown of Seattle. On 2010-07-01, Amazon Germany also started selling food and drinks online through its website. Delivery to the nearest pick-up station is free for any order of at least €20. Express overnight delivery costs extra, so you may still want to purchase dairy products elsewhere during the heat of summer. As the world’s largest online retailer, Amazon has the resources and imagination to give Tesco and Metro a run for their money. Nevertheless, large retailers in most countries, such as Tesco in the UK, and Migros and Coop in Switzerland already have successful online shops. The difference is the charge for same-day delivery, but dairy products are always delivered unspoiled. My question is why anybody would want to shop at Amazon if you have to wait until the next day to collect your order at the nearest pick-up station, when other shops on my way home are open until 21:00. Ordering is not even practical when buying bulky items (e.g., the elderly), since I have to visit the pick-up point to get my order or pay an express surcharge to have it delivered to my house. Finally, Amazon pricing is not necessarily attractive (I checked) and nothing beats seeing the produce before spending your hard-earned money on it. This week I also came across a post on the LinkedIn blog about Philips starting a group on the platform that included an interview with Hans Notenboom, Global Director Online – CRM – Analytics – Commerce at Philips International B.V. Most interesting are the things that seem to be missing from the interview. For instance, neither the group owner (a US marketing professional from Philips) nor the managers (a director from Philips’ PR agency, a LinkedIn manager and Hans Notenboom) ever suggest healthcare professionals lead these discussions. Browsing through the last 30 days shows that most contributions come from marketing-savvy individuals who dabble in healthcare, but I fail to see any serious discussions involving doctors or nurses. As Hans Notenboom states in the interview, such a group is a great way to reach one’s clients – doctors and nurses – which is the group’s stated objective. 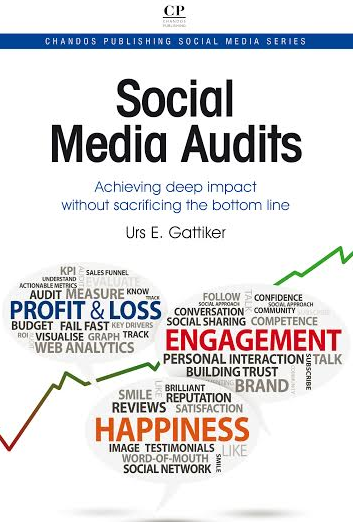 But to achieve this laudable objective, managers need to bring in the expertise and know-how that can help steer discussions so the target group perceives the community’s content as valuable. As I have learned with Law and Social Networking, this is very difficult. Michel Platini, president of European football’s governing body UEFA, feels that Holland and Spain’s presence in Sunday’s World Cup final in Johannesburg is a tribute to their investment in education and training. 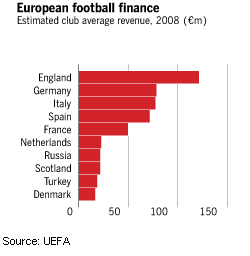 With the June release and implementation of its Club Licensing and Financial Fair Play Regulations, UEFA is hoping that this work will continue by forcing clubs in European competition to spend only what they earn. 3. If clubs do not meet these rules, they cannot acquire a UEFA club license, required to take part in European competition. These rules can be quite a challenge, considering that Roman Abramovich and Sheikh Mansour subsidized losses of £47 million and £93 million for Chelsea and Manchester City, respectively. Both owners converted debt in their clubs to equity, in anticipation of the new financial regime. Loans can also be given to build infrastructure such as training grounds or youth development programs. However, loans are no longer an option when overspending on wages or transfers results in a shortfall, as Barcelona is currently experiencing (see Thursday). 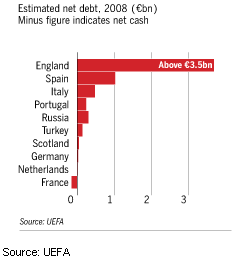 UEFA estimates net debt across European clubs was €6.3 billion and is still rising (see chart). As Spain takes home the 2010 FIFA World Cup South Africa trophy, attention turns to the start of Europe’s domestic league seasons. Incidentally, AS Roma, winner of three A Series titles, is now effectively owned by UniCredit after Thursday’s deal between the bank and majority owners the Sensi family to settle their debts. P.S. – UniCredit is one of the major sponsors of the Champions League. 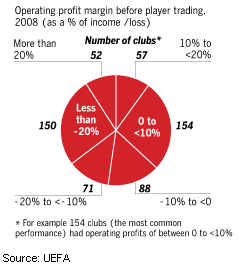 Finally, the work of UEFA’s Club Financial Control Panel assumes considerable importance. Under the chairmanship of former Belgian prime minister Jean-Luc Dehaene, this is the body that has begun to analyze cases of clubs running into financial problems. That wraps up this week’s social media diary. Please let me know how you feel about it – your opinions matter to me! Please leave a comment below.